It is located on the Showground. After turning in through the main gates from the A54 follow signs for Showground & Woodside straight ahead passed the black arenas on the right hand side, the track goes round to the left & through double metal gates. 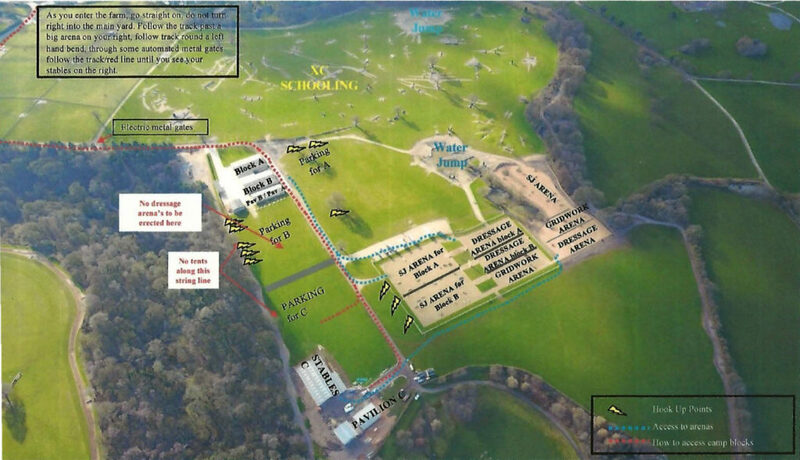 The permanent stables (Block A & B) are on your right and can be accessed from the back yard or from the front showground area. Block C is further along the track on the right hand side opposite the arenas.